Well, this is certainly a post I never thought I'd be writing. For the past two years I've been completely and utterly in love with blogging and everything that surrounds it, every ounce of my spare time was filled with all things blogging, and new post ideas were always on my mind. For the past two years my blog has been my outlet, a place to share my opinions and get away from everything. My blog became my place to hide when life was getting me down, and also a place to share my successes and over the years it's seen me go through many a lifestyle change....I've moved multiple times to different cities, gone through break ups, new jobs, University struggles and I've also met some of my best friends. My blog is something I've grown extremely attached to over the past two years, it's almost like a fifth limb, which is why I feel extremely sad to continue on with this post. For the past couple of weeks I've been feeling completely unmotivated to blog, and to keep up with my regular posting schedule. I understand that we all go through this from time to time, as I myself have experienced bloggers block on several occasions, but something feels different this time and I can't quite put my finger on it. 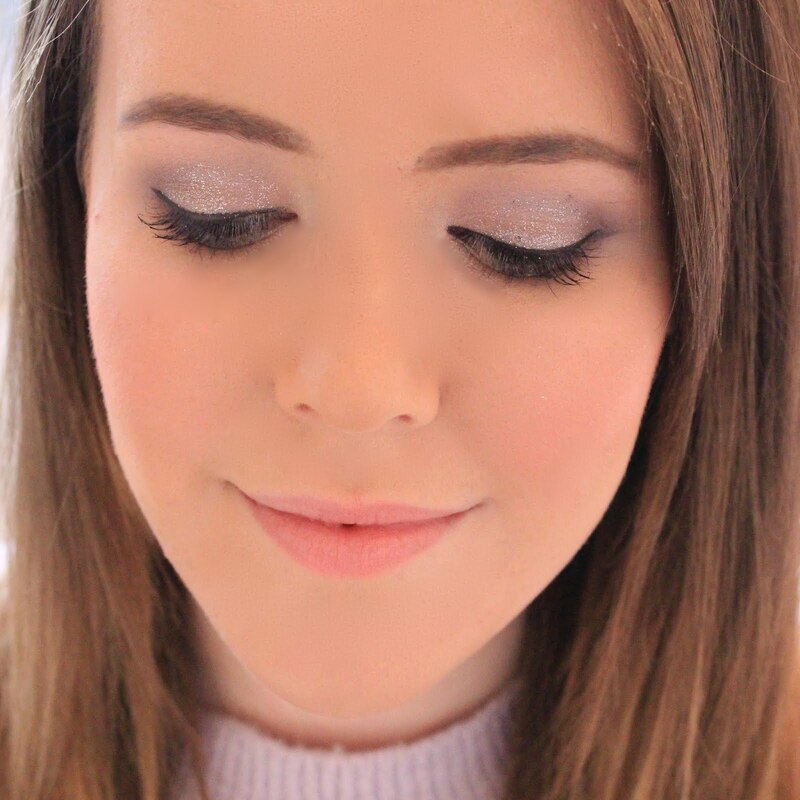 I've always made it my aim to be completely open and honest about what's going on here on Lipgloss & Lashes, both to benefit myself and my readers, and lately I've felt like I've been blogging for the sake of it, just going through my motions and publishing half hearted content, which some of you may have picked up on. I'm not sure exactly why I've been feeling like this, as it's probably down to a number of things, but I'm just not feeling it at the moment. This hasn't been a snap decision either, I've really been trying my hardest to keep up with my blog lately, but I feel that if I keep going down this same route of publishing something just for the sake of it, then I'll fall out of love with blogging all together, and I'd hate to have to give up such a large part of who I am. At the moment I'm at a turning point in my life, which I guess has been partly to blame for this feeling of discontent when it comes to blogging. If you read my blog regularly then you'll know that I'm coming to the end of my four year degree, in fact, I sit my last ever exam on Friday. As you can imagine, life's been pretty hectic recently. I've had tonnes of revision to do, a dissertation to write and on top of that there's the whole job search thing going on...and honestly, I'm just not quite sure where blogging fits in around all of that. I'm an extremely organised person, and I've managed to keep this blog going (with its regular posting schedule) throughout full time study and a full time job, but recently there's just been no time. There's only so many things one person can take on without completely burning themselves out, and in my case something just has to give. I'm at an exciting point in my life where I'm just about to take the first steps on the career ladder (hopefully) and I'm also tieing up loose ends at University, and I'd like to be able to enjoy this time with my friends without having to worry about whether this week's posts are done. I would hate to look back on my life when I'm older and regret not spending time with my loved ones, all because I was stressed out. However changes in my personal life aren't completely to blame for this less than chipper feeling towards blogging. When I started blogging just over two years ago, the whole blogging landscape was completely different and I adored the way it used to be. I felt like I'd finally found a hobby that suited me, after hating pretty much everything else I'd tried, and I loved it. Blogging introduced me to a whole new world, and a community of like minded beauty enthusiasts, who were all so lovely and supporting. But over the past couple of month's I've noticed a huge shift in the blogging community. I realise that with such a new and evolving industry that things are always bound to change, but recently I've noticed a few changes which just don't sit right with me. Over the past couple of months I've seen more and more bloggers turn their blogs into careers with amazing success, and on one hand I think this is great. I love seeing some of my favourite bloggers flourish, achieve their dreams and be handed opportunities I could only dream of, because they truly deserve it and I also think it's amazing to see the blogging community get the recognition it deserves. However on the other hand, I now see more and more bloggers playing the numbers game and doing anything they can to monetise their content. I won't lie, I do make a little bit of money from my blog, but nowhere near enough to support myself, but I've never been interested in turning my blog into a little money maker, or pursuing blogging as a career. I started my blog to share my opinions about beauty with like minded individuals and fill a gap in my life, thats it. However over the past few months I've fallen to the pressure of trying to make my blog professional in order to keep up with the way blogging is going. There seems to be an unspoken rule at the moment that to be a good blogger, or even worthy of readers, your photos must be taken on an expensive camera, your blog must be designed to super high standards and your content has to be good enough to make the editors at Vogue quake in their, probably very expensive, boots - and for me, that's not what blogging is about. I've found that recently I've spend more and more time picking apart my blog and all of its faults than I've spend enjoying the journey, which I guess is why I've been feeling this way. There's so much pressure on bloggers to be the best at the moment and I know if I carry on pushing myself the way I have been trying to get my blog to that high standard then I'll burn out and completely fall out of love with the whole thing. I've also noticed a huge change in the way bloggers act towards each other, and in some cases I've found it to be quite a hostile environment. More often than not, blogging chats are filled with snide comments about certain bloggers, there's been drama after drama, bullying and general nastiness from bloggers, and I don't think anyone should be made to feel that way. I'm not specifically talking about anyone here, so please don't jump to conclusions and think I'm creating drama, I'm merely pointing out that every time I log onto Twitter at the moment there seems to be something kicking off. Blogging has become an extremely competitive landscape, and as someone who was never interested in being the best, making the most money, or competing in any way, it's started to make me feel uncomfortable. I'm not saying that this is the end of my blog, far from it. But I think I need to take a week or two off blogging as I'm just not in the right headspace at the moment to continue. I currently have no posts in my 'drafts' box and instead of panicking me, it's actually quite a nice feeling...which I guess is a sign that a break is well and truly in order. I didn't write this post to get sympathy, I just wanted the chance to be completely open with my readers and explain that I'm not simply just bored of blogging. I do have one last post going up tonight as I'd already written it and it seemed silly to not publish it, but after that I'll be taking the week off - hopefully you understand! I agree with you Becky. I've been trying to find so many ways to 'improve' my photography that I've been neglecting my blog and not enjoying it as much as I used to. It is competitive, but a lot of things in life are. I look forward to reading your blog when you get back from your well deserved break! Blogging certainly has its ups and downs. Sometimes you are so beyond excited for a post to go up - and other times you have to push through to find your inspiration. 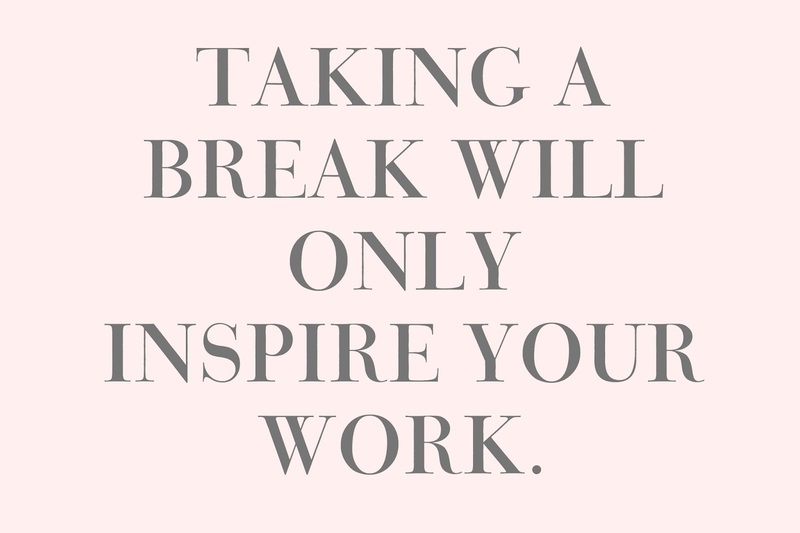 I don't want you to feel stressed or guilty for needing to take a break. At the end of the day, living life, seeing people you care about, and having fun are the most important things. Take time for YOU - and know we will all be here when you are feeling inspired. You've got to do what you've got to do, and while I will definitely miss this blog and you've grown to be one of my favourites, I completely understand why you feel as though you need a break. I definitely agree that blogging has shifted mood slightly over the past few months, and unfortunately these changes are not necessarily for the best, but I'm still completely in love with the possibilities of my blog and so choose to ignore them. I can understand and appreciate though that if you're not that in love with blogging at the moment, these will become a much larger issue. Good luck with your exams and upcoming changes, blogging should be something that you love and if it isn't then something isn't right. Take a break, open yourself up to inspiration and new possibility and I hope to see your lovely blog return to my feed shortly! If you ever need a chat then you know where to find me! I must admit, I do really agree with this. Even in the year I have been blogging I have seen a shift in the community, so cant imagine whats go on over the years. I used to be a avid Twitter chat contributor but after I had a few nasty remarks said to be I thought best to just leave it! Hopefully your break will leave you in inspired, and if not, its not the end of the world but on a selfish note, never stop blogging as I LOVE you and your blog! I think there are a lot of bloggers, including myself, who feel or have felt the same way as you. There has definitely been a big change in the blogging world and sometimes it does unsettle me and I feel that subconscious pressure too. I had a break off from it all not long ago because in a weird way I didn't feel "good enough", I don't know where it came from but I hated that I felt that way, so I took a step back. I do worry that this feeling will keep returning but I know I must try and ignore it and remember that I'm blogging because I love it and that it's not a competition. I totally agree with you, sometimes life just massively gets in the way and that, along with the pressures that come with blogging to be taking the best pictures, making sure you have the perfect background and that the image quality is absolutely spot on. It's a lot of work and when you're putting that in but still not feeling good enough, it's natural to feel disheartened. Take a break, it's well deserved and hopefully you will feel better and your enthusiasm for blogging will be back to normal! I agree with you on many of your points but what I will say is you must play to your own tune depending on what you want from your blog and the blogging experience. I started blogging a long time ago when you posted blurry photos from the weekend and chatted about life and it wasn't about PRs, Stats and competition. I liken my blogging journey now to that of a sporty type (of which I'm very much not haha) in that my blog is a hobby in that I go to the gym frequently but that doesn't mean I don't want to train harder, challenge myself to a marathon or two... no I won't be competing in the Olympics any time soon nor battling with the big bloggers or going full time but I can still produce the best content and photos I can but I'm also not prepared to beat myself up about not following the 'blogging rules'.